THE 2019 Budget document indicated that PNG has debts of about K25.5bil and will increase to about K27.3bil in 2019. The budget document also indicated a revenue of K14.3bil and an expenditure of K16.1bil. The deficit will be balanced by a loan of about K1.9bil while the budget for debt servicing is about K2bil. 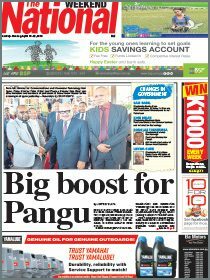 The debt is 30.8 per cent of PNG gross domestic product (GDP) but 191 per cent of our revenue. Hoping that the government will service the debt at about K2bil a year, let’s make the following assumption and see when we will completely repay all our debts. If no more borrowing or 0 per cent interest, we will take about 14 years to repay the loan. If no more borrowing and interest rate of 5 per cent, we will take about 24 years to pay back the loan. If we reduce the loan to K1bil per year at no or 0 per cent interest rate, we will take about 27 years to repay the debt. If we maintain the loan at K2bil per year at 0 per cent interest rate, we will have to repay more than K3b per year to completely pay off the debt in 27 years. If we maintain the loan at K2bil per year at 5 per cent interest rate, our debt will increase to K100bil in 50 years. The first four assumptions look satisfactory for us and apparently, we may be able to repay the debt within 27 years. Any other conditions, for example, assumption “five”, would require more than 30 years to repay the debt. If we don’t control our debt, we will suffer a dip in our economy. By this time the guys who got the loan would have died, it will be our kids who will be servicing the debt. It is sad that some of these loans were wasted on white elephant projects and inflated contracts. Some people may argue that loan is good for our country. Extra money is required for investments and projects to grow and build the economy. However, the way our government manages our finance in the country is very poor. It is riddled with corruption and mismanagement. The money is not effectively invested in sustainable projects that will develop our country whilst creating jobs and generating revenue to services our debt. In order to services the loan, the burden will be on the people. All forms of taxes (personal tax, company tax, import and export excise, import and export duties and others) will increase. Then, the bottom line is that the prices of goods and services will increase. As a result, people will be affected significantly. Most people may not have the money to pay for their children’s school fees. 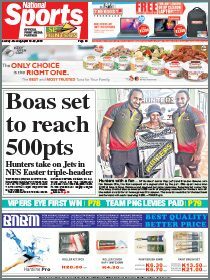 As a result, pressure will be mounted on MPs to use DSIP and PSIP to help with school fees. This may significantly influence development and services delivery. Thus, we will lack progress. We must find means and ways to service the loan and return our budget to surplus and grow our economy. Sometimes we need to live within our means but strategically borrow for projects and infrastructure building that will generate revenue for the country. Debt will become a load on the Government if we cannot stop further loans. If the interest is more than 5 per cent, we may need to stop the loan and improve debt servicing to over K3bil per year to get into recovery mode quickly. It will be a stress on our country now and into the future if we don’t take corrective actions now. Hence, our future generations will be affected.